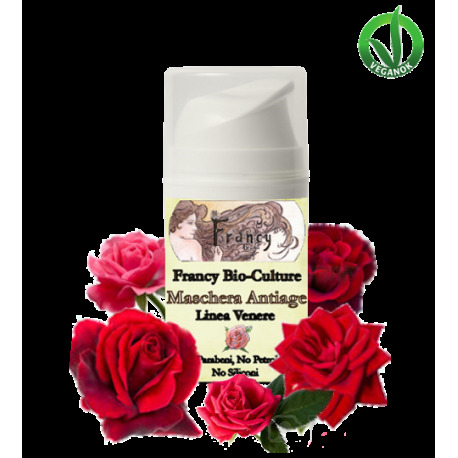 Anti-Aging Rose Clay Face Mask - Francy Bio-Culture S.r.l. 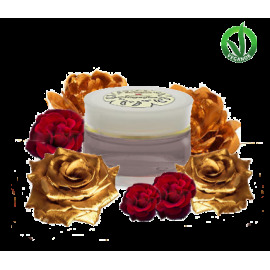 Rose clay is an ingredient that always been used in anti-aging masks, useful for toning and the facial skin and improving its connective tissue. 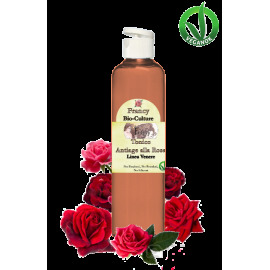 Combined with the infusion of organic roses it gives freshness and hydration even to the dry skin. 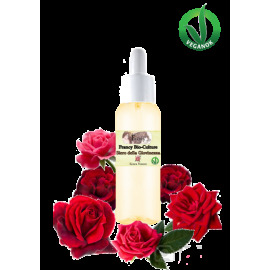 Organic argan oil and rose damascene essential oil are precious ingredients that nourish in depth and for a long time and make the product a valid ally against the signs of age. 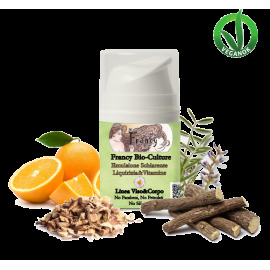 Pat the mask onto clean skin of face and neck avoiding the eyes and lips. Leave it on for 10 minutes and then wash it off using warm water. 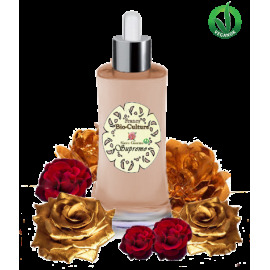 Calamine, Rosa Damascena Flower Water*, Cetearyl Olivate, Sorbitan Olivate, Argania Spinosa Oil*, Rosa Damascena Oil*, Potassium Sorbate, Sodium Benzoate, Aroma. 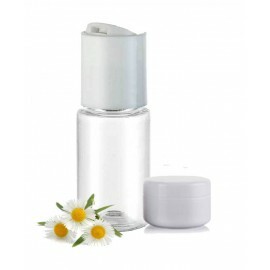 Regenerates tired and dull skin giving tone and vitality. 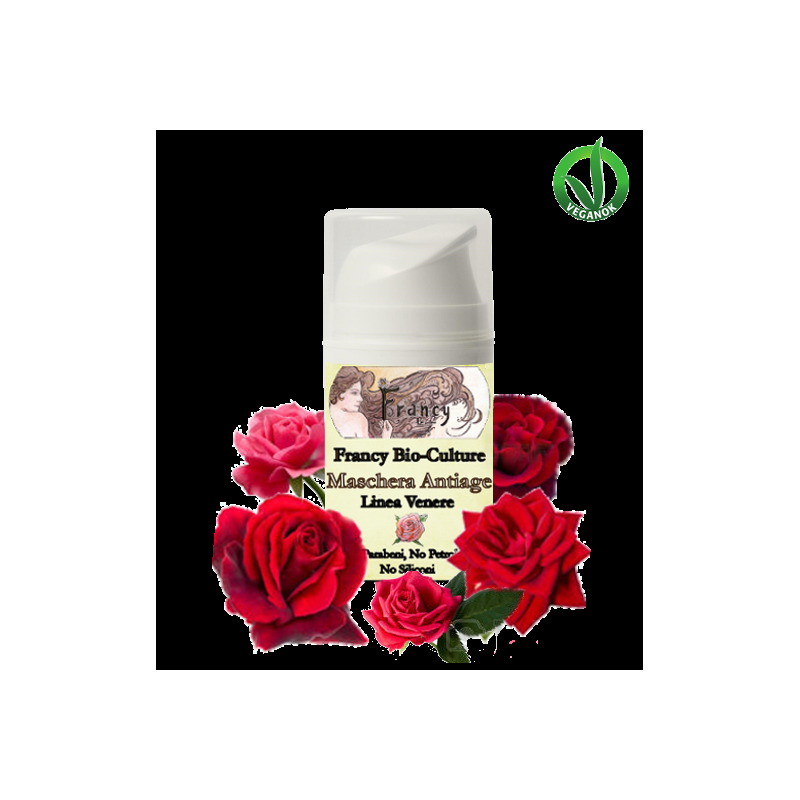 Its moisturizing properties are excellent, thanks to the anti-aging action of the oil of argan, the essential oil and the rose water. 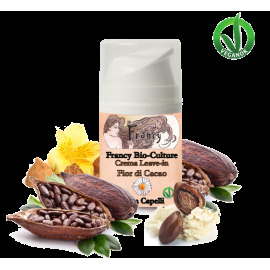 No paraffinum liquidum, silicone, petrolatum, parabens. Pat the mask onto the face and neck avoiding the eyes and lips. Leave it on for 10 minutes and then wash it off using warm water. Calamine, Rosa Damascena Flower Water*, Cetearyl Olivate, Sorbitan Olivate, Argania Spinosa Oil*, Rosa Damascena Oil*, Dehydroacetic Acid, Benzyl Alcohol, Aroma. 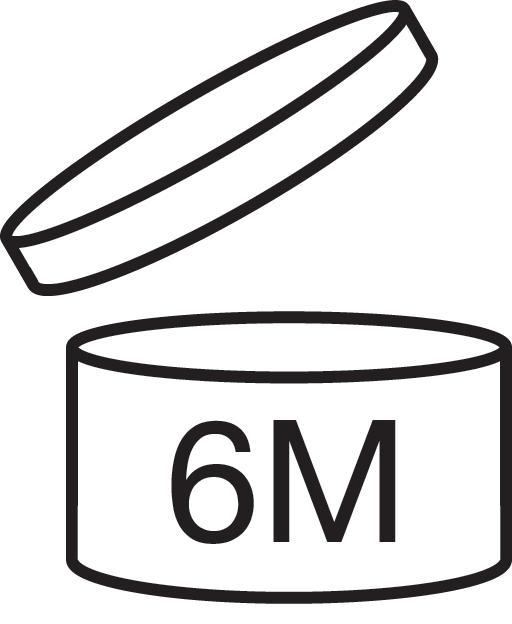 Io la trovo spettacolare e nel nuovo contenitore è molto più facile da usare.. so tutta la linea antiage e il mio viso è più luminoso e disteso, me l'hanno detto in molti.